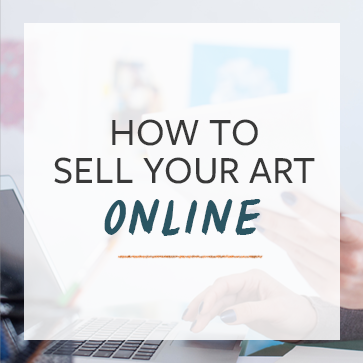 Are you photographing your own artwork for your marketing materials or even for prints? There are a few factors to take into consideration to get the highest possible quality for your photographs. These include lighting, the angle of the photograph, and editing. We have an in-depth instructional post to help you dial in those factors: How to Photograph and Edit Your Art. But before you get that far, you’ve got to start with a camera. Recently over in The Association we had a useful discussion about the best cameras for photographing artwork, and a lot of pro artists chimed in with their favorites. The Pentax has a 20 Megapixel sensor, which will allow you to create enormous high-res prints from your photos. It also features a very high ISO range. You may consider this camera if you are photographing installation work, murals, or other artworks for which you cannot always control the lighting circumstances as much as you would hope. With an 18 Megapixel sensor, the Rebel allows for better detail on images if you need to crop them in. This is a good choice if you take photos of your large artwork and make different prints from different croppings. It also includes scene intelligent auto settings, to help take the guesswork out of situations with tricky lighting. The EOS 50D features a 15.1 Megapixel CMOS sensor with noise reduction, and includes a EF 28-135mm f/3.5-5.6 IS USM standard zoom lens. It includes both automatic and manual focus. This camera has very high ISO capabilities to help make up for poor lighting, which can be helpful if you’re struggling to get the right lighting for your artwork. If you aren’t ready or interested in shelling out for a DSLR, the Canon Powershot S110 is a powerful little 12.1 megapixel point-and-shoot that works just fine for taking high-quality photos. The Powershot includes a high range of customizable settings as well as an AUTO setting if you don’t want to bother or have no idea where to start. It’s sleek and compact, won’t break the bank, and includes some other cool features like Wi-Fi compatibility. It doesn’t have to be fancy or expensive! But you’ll be glad for the stabilization, especially if you want to use your photographs to make prints. 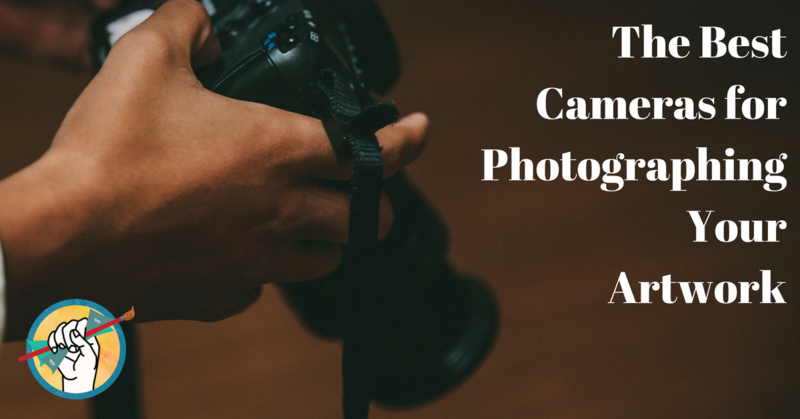 We go over this in detail in our post on how to photograph your art. Even the fanciest camera isn’t a substitute for terrible lighting. Do you have a favorite camera for taking pictures of your art? Let us know in the comments! Can you tell me which one of them will also be great to film videos (for tutorials, painting demonstration and social media)? Hello! I print out this article so that I can find DSLR cameras that captures artwork, There are things cameras can do now that are amazing, but only if you know how to set it up properly. Thank you for the article. Question: do you think the Canon Powershop S110 takes better pics than an Iphone6s? No. That camera cannot take any good photo. Having a camera for taking good quality photos is so key for artists. And I think the canon rebel is such a great recommendation for beginners. There are so many amazing pieces of artwork that have photos even on websites that don’t do them justice because people are still using their phone camera. Thank you for linking to your article on how to photograph your art! Super helpful post. I’m looking at Canon Powershot S110 to take images of my artwork that will be printed up to 84 x 118.8cm – would this do the job? Also, it seems like this is quite an old model, would you recommend a newer version?